Tires are one of the most critical vehicle components to keep in peak condition for continued safety and control, no matter what type of car you drive. Here at the service department of Honda Morristown, we offer professional tire service and new replacement tire installation for Knoxville, Tennessee area drivers. 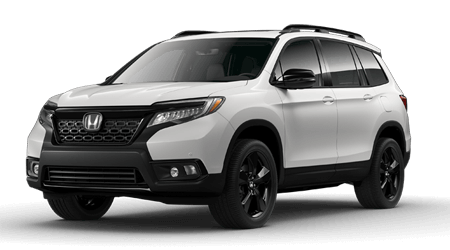 While our team of Honda factory-trained service technicians may specialize in the maintenance of Honda cars, SUVs and pickups, they are also ASE Certified to perform automotive maintenance and repairs like tire service on all makes and models. No matter what tire issue your car, pickup truck or SUV may be experiencing, if you live near Sevierville, TN, then the tire service technicians here at Honda Morristown are just a short drive from resolving your tire concerns! If your Honda Civic, Accord or CR-V has a slow leak, excessive road noise or is not tracking straight down the road, your tires should be inspected. Your car's tires may need attention in the form of rotating, inflating, patching or replacement. Our service technicians can closely inspect your tires anytime that you have your vehicle in for maintenance, such as for a quick oil change or brake service. When the time comes for a new set of tires, know that our Honda dealership's service center and parts department have a strong selection of high-quality replacement tires for your vehicle from top brands like Bridgestone, Michelin, Goodyear and more. Before you bring your Honda or other make of vehicle in for tire service at our service department in Morristown, TN, you can schedule a service appointment online or call our service advisors. When it is time to bring your car to our service center for a tire inspection, service or replacement, route yourself to our Honda dealership near Knoxville for prompt and professional service.